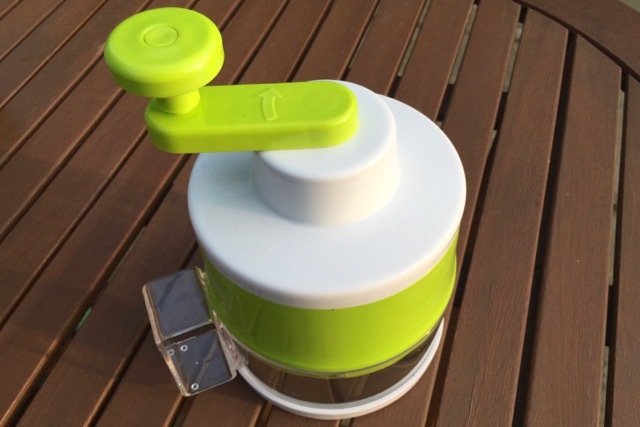 The spiralizer boom has been going for a number of years, but it's passed us by until now, so the first stop was to buy a spiralizer. After reading dozens of reviews, we went for a Lakeland one. It actually gets poor reviews, but we bought it on a personal recommendation, and in reality it's pretty great. It spiralizes both hard and soft veg into long curly medium-thickness strips. Below is a shot of spiralized courgette (zucchini), but it will handle something as hard as uncooked raw beetroot effortlessly too. 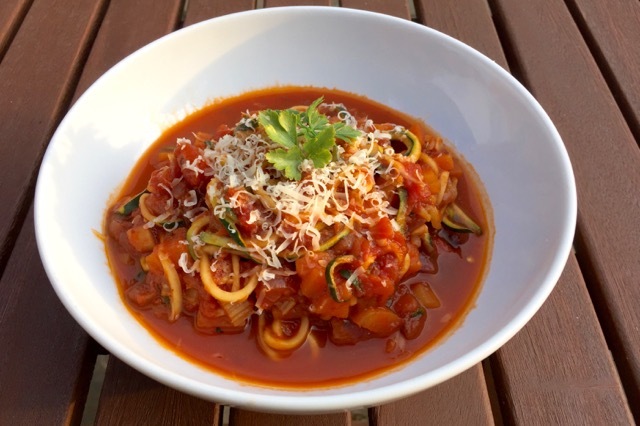 Our first test recipe from Nourishing Noodles was 'cooked zucchini marinara'. This was the most successful of the four we tried, creating a fantastically tasty hot dish, with tomatoes, red onion, chilli flakes and currants. 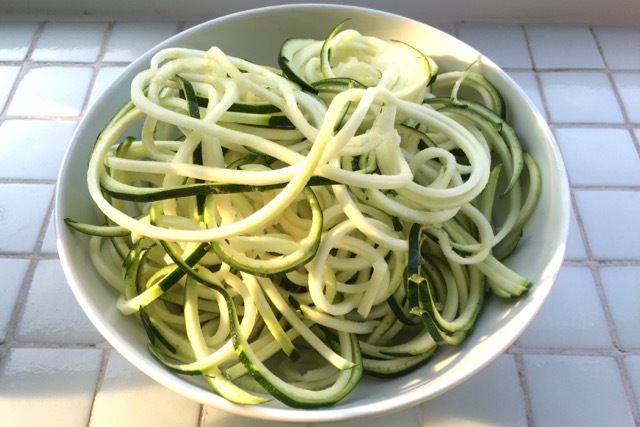 If you've never had zoodles (zucchini noodles) you'll be surprised how tasty they are as an alternative to carbs. Next up was some raw beetroot in a salad. 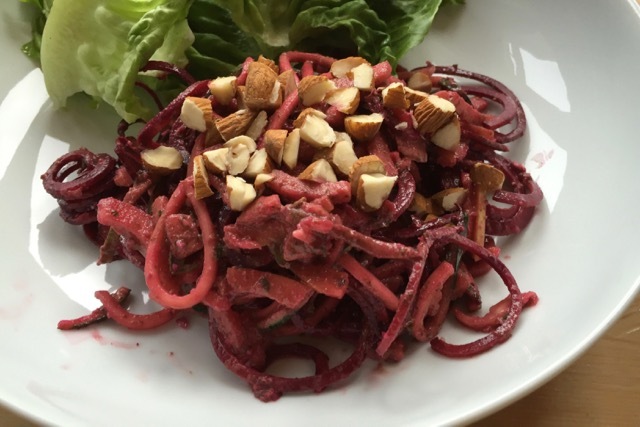 The 'beet, zucchini and apple noodle salad' was made with a dressing that included olive oil and mustard. We subbed the macadamia nuts for almonds. The salad was pretty tasty and thanks to the apple had some sweetness too. One recipe that went badly wrong was this 'noodle pizza'. 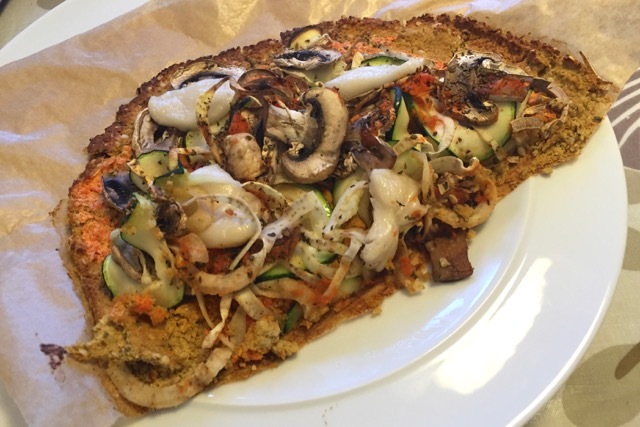 We're not sure exactly what went wrong, but the pizza base made with chickpeas, shelled hemp seeds and courgette turned out to be dry and crumbly. 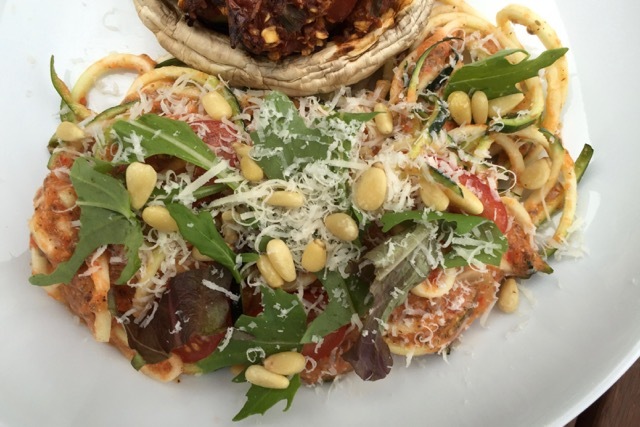 The topping included spiralized sweet potato and (yet more) courgette, but lacked flavour. The last dish we tested was a raw marinara, with the ubiquitous courgette - 'raw zucchini marinara'. You might suggest this courgette obsession is self-selecting, and you're probably right - they're cheap and super quick to run through the spiralizer. This raw marinara had less flavour than the cooked marinara, but was still pretty good. 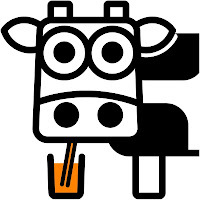 Nourishing Noodles also contains a wealth of other useful recipes, including desserts, breakfasts, condiments and entrees. 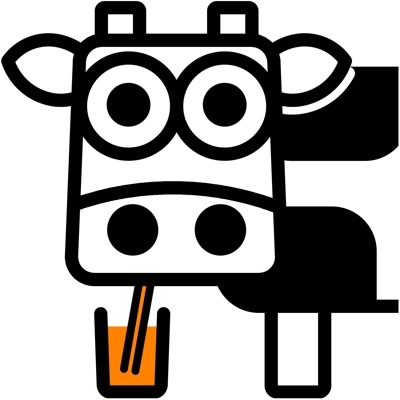 It also contains recipes for vegan nut milks and cheeses, as well as instructions for making your own kimchi and coconut bacon. We're really pleased to have received a copy of Nourishing Noodles, as it's opened up the world of spiralizing to us in a vegan context. Chris Anca's recipes are bright, colourful and healthful. There are nearly 100 recipes in the book and some of them you'll return to again and again. 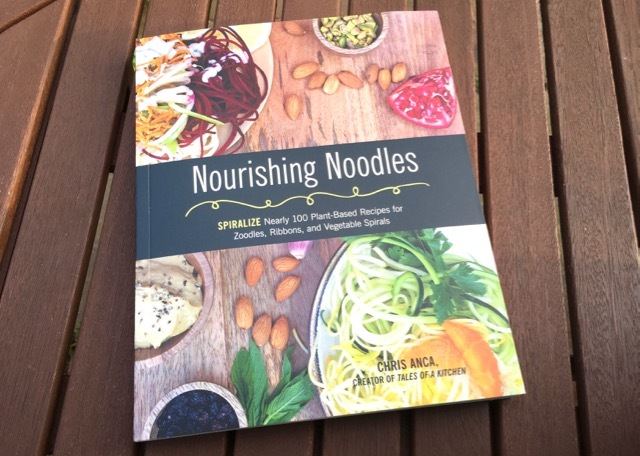 You can pick up a copy of Nourishing Noodles from Amazon and other online bookshops.